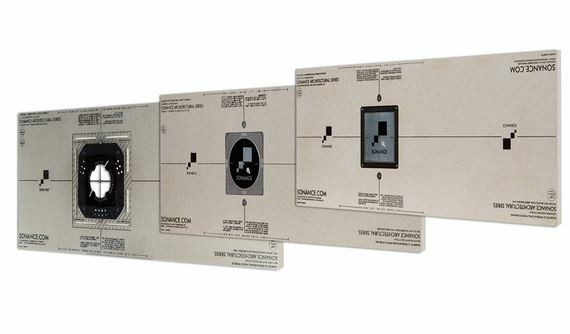 SONANCE Architectural speakers for In-Wall and In-Ceiling are mounted completely flush and are therefore a perfect complement to today’s high-end lighting. Why Choose SONANCE Architectural Series? The ultimate balance of aesthetics and audio performance. A flush design provides a better aesthetic than traditional speakers and reflects the look of contemporary flush and trimless lighting. State-of-the-art driver materials and cutting-edge design sets a new standard in audiophile sound quality. 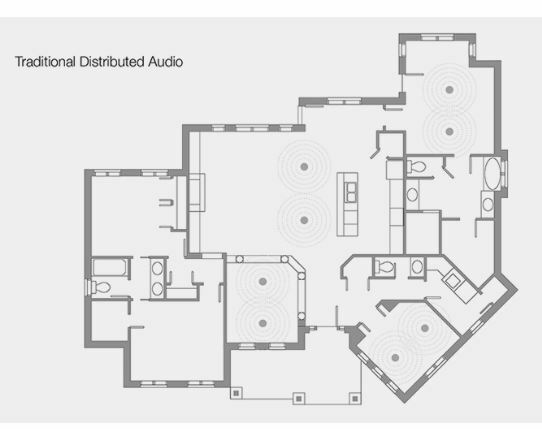 The Architectural Series Discreet Opening System delivers unprecedented sound quality via a revolutionary system approach to distributed audio to produce a balanced level of sound throughout the whole room. The finished product exactly matches the footprint of small aperture downlights for minimal distraction and maximum performance. Precision engineered mounting platforms provide flexibility to align with light fixtures or ceiling features and deliver the highest quality results in a wide range of materials. The cutting-edge design features a carbon fiber and Rohaceel woofer and ceramic dome tweeter to deliver sonic performance that defies its size. Four or more AS38RS Satellite Speakers are used in conjunction with a BPS6RS Bandpass Subwoofer to deliver outstanding sound quality. 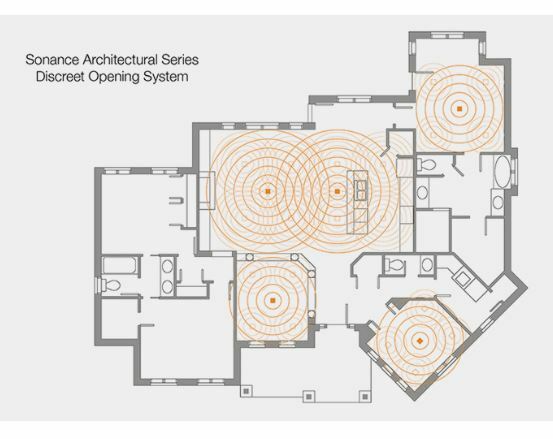 SONANCE Architectural Series in installed using patented Mounting Platforms to ensure a precision result is always achieved. The Mounting Platforms are installed as part of the ceiling and finished with the surrounding surface. They provide a repeatable and professional finish in a range of materials, including gib-board, tongue-in groove, and wood paneling.